Mark Hindley is a Conductor and keyboard player. 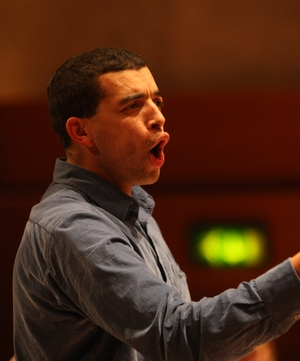 He is currently Chorusmaster of the RTÉ Philharmonic Choir and Musical Director of the Wordsworth Singers. He is also the founding Musical Director of the exciting new group, the Scottish Vocal Ensemble. In addition to his work with choirs and orchestras, he also performs regularly as an organist and harpsichordist, particularly with Royal Scottish National Orchestra and Royal Northern Sinfonia. Further information can be found information Mark's biography. Mark edits and typesets scores and editions of works, particularly for repertoire which is otherwise difficult to source or for which there are no modern editions available. Follow these links for further details of the scores which are currently available to purchase, as well as some free downloads. If you have specific repertoire that you want to have to be edited or typeset in high quality engraving, email directly to discuss your requirements. Mark also has a small library of sets of vocal scores which are available for hire. Further details of the scores available can be found here.